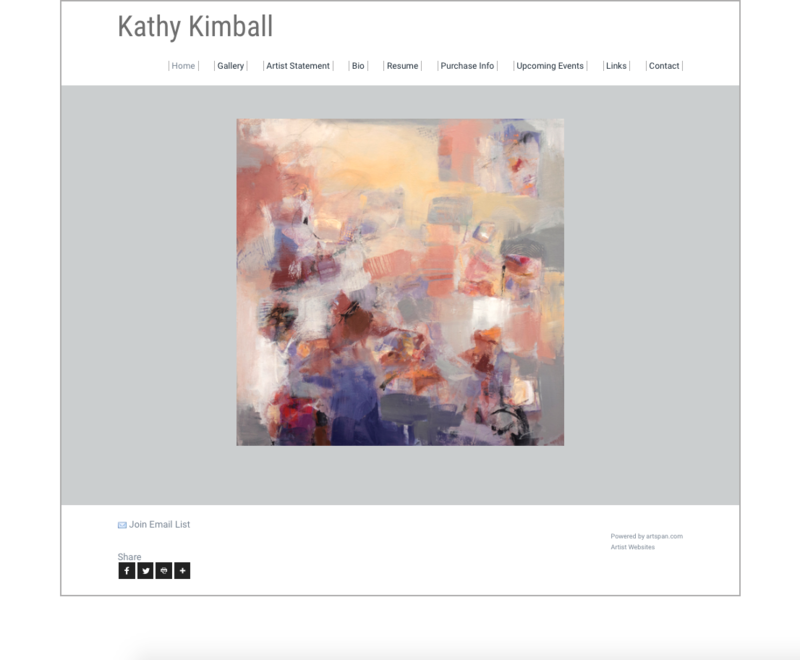 "My paintings are about the tension and balance between line and form. A painting is a two-dimensional object but changes in color and shadow may imply something in existence behind an object. Color and form are all around us in everyday life and I use both in exploring perceptions. Often there are several layers of paint with the initial layer still visible in sections of the art. The ongoing dialogue takes place between the canvas and myself." 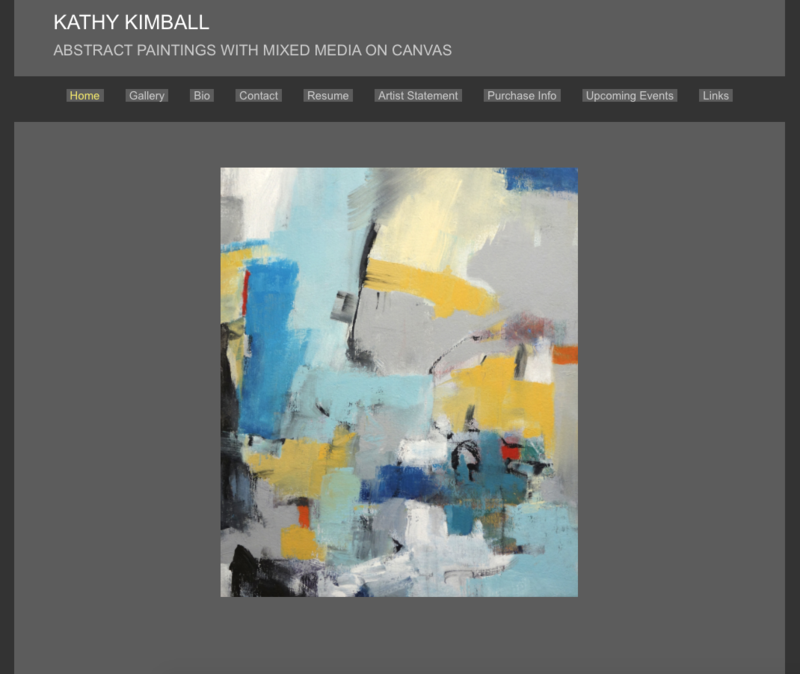 We love Kathy Kimball's thoughtful, vibrant abstracts, so we were delighted when she asked us to spruce up her site. We chose something simple because her art speaks for itself. Kimball suggested features she liked and we tried to incorporate them in the design. We worked together to arrive at a final product everyone was happy with.